When the ears are overly large, are misshapen, or stick out from the head, they can draw unwanted attention and cause self-consciousness in people of any age. Many children are subjected to teasing and bullying because of the size and shape of their ears. Facial plastic surgeon Dr. Richard Rival performs cosmetic ear surgery, technically called otoplasty, in Toronto to improve the appearance of the ears and enhance his patients’ confidence. The best way to determine if you are a candidate for otoplasty, also called ear pinning or reshaping, is to consult Dr. Rival at his Toronto centre. We encourage you to request a consultation online or call (866) 229-3223 to schedule an appointment. Poorly developed antihelical fold: With this condition, sometimes called lop-ear deformity, the fold of cartilage in the upper part of the ear (the superior crus of the antihelix) is flat and lacks the fold that brings the ear back toward the side of the head; instead, the ear to sticks out or folds forward. By curving the upper part of the ear back, Dr. Rival is able to create that missing fold. Hypertrophic conchal bowl: The ears can look too large or stick out when the conchal bowl, the inner cupped part of the ear that surrounds the ear canal, is not positioned close enough to the side of the head or is too deep and needs to be reduced. Dr. Rival can sculpt the cartilage through an incision on the back of the ear to improve the appearance and placement of the ear. What Is the Right Age for Otoplasty? Otoplasty is most successful when performed on patients between 4 and 14 years old, before the ear cartilage has fully hardened. In children, it is most often performed after age 5 or 6 when the ear has reached full development. Ear surgery helps minimize emotional trauma for patients when the ears are corrected at an early age. Otoplasty can be performed at almost any age in adults. If your ears have always been a concern for you, it is never too late to have this potentially life-changing procedure. Why Choose Dr. Rival for Ear Surgery? Choosing a qualified facial plastic surgeon who is experienced in otoplasty is an important step toward successful results. Shaping the cartilage of the outer ears requires technical skill and an artistic eye. 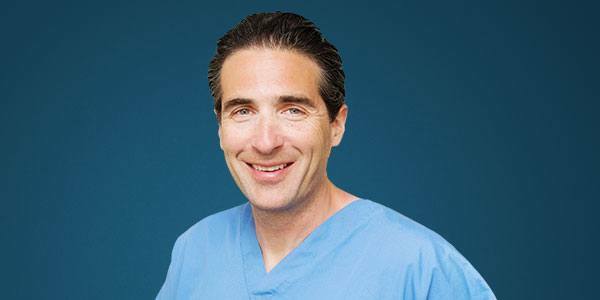 Dr. Rival is board certified in both facial plastic surgery and otolaryngology (head and neck surgery). He has the training, judgment, and surgical experience required to make corrections while accounting for changes that typically occur during the healing process and may affect the final results. Dr. Rival performs ear surgery as an outpatient procedure that usually takes 2 to 3 hours. For young children, he typically uses general anesthesia so the child sleeps through the surgery. For older children and adults, he combines local anesthesia with a sedative. Dr. Rival places the incisions where the resulting thin scars are hidden behind the ears, in the crease between the ear and the skull. The underlying cartilages are then reshaped and repositioned using a suture technique. Dr. Rival adjusts the position of each ear independently to account for asymmetries between the ears. He uses a suture technique that enables him to provide results that look natural instead of making the ears appear “pasted” flat against the skull. Because Dr. Rival is a rhinoplasty specialist, patients often have him perform ear surgery when they visit him for rhinoplasty. He can combine ear surgery with other facial procedures as well such as eyelid surgery or a facelift. After the surgery, patients return home the same day wearing a light head dressing. Experiences vary after otoplasty. Pain is typically not significant and can usually be managed with oral medication. Swelling and bruising are usually not significant and usually subside within the first 3 days. A gauze bandage is worn for about a week after surgery to help the ears heal in their new, flat position. Stitches are usually removed in about a week. Patients are instructed to wear a headband at night for an additional 2 weeks. Patients recover at different rates. Most adults are able to return to work after about 5 days; children can go back to school after about 1 week. Patients may resume wearing eyeglasses and sunglasses 7 to 10 days after surgery. Is Otoplasty Covered by the Ministry of Health (OHIP)? Otoplasty is covered by OHIP for patients up to the age of 18.